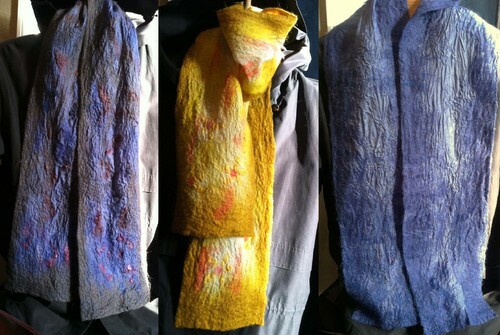 Learn how to cobweb felt! 10% discount with groups of 6 or more. 20% Deposit required to hold the date and time. *Individuals that wish to use their own fiber are welcome to do so. $50.00 per person when providing own supplies. 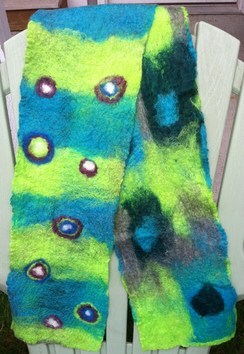 Do you have a group that would enjoy learning how to make wet felted scarves? We provide the instruction and supplies. 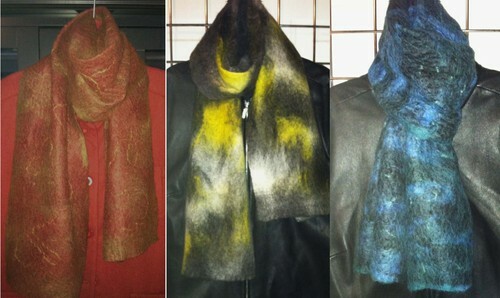 Natural and Dyed Fiber available. 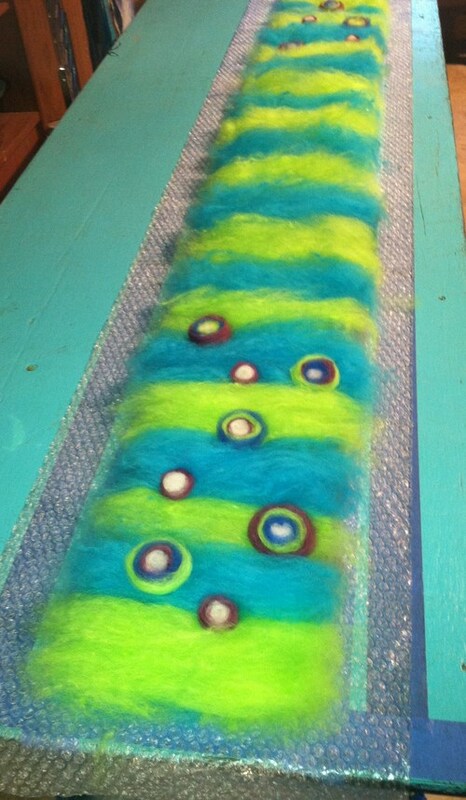 Laminate Felting using Silk and Alpaca. Reservations are required for group activities. This is a hands on workshop and everyone will leave with their own creation! Class size is limited to 6. 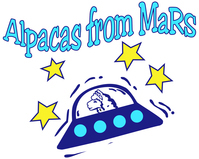 Email rebecca@alpacasfrommars.com to get on a class list.